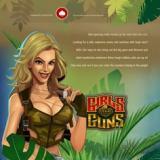 The CGTV Games offering covers a number of different aspects of online gaming, such as casino and poker software. They position themselves in this crowded market place as an innovative company which offers a number of ways for gaming firms to rapidly grow their brand and increase their revenue. Their online casino software is used by a few casinos now and is starting to show signs of being a platform that could start to really make an impression in the industry. It is difficult to make a mark in this business, with so many software development companies now offering their own solutions to online gaming firms. Having said that, it is clear that CGTV Games is beginning to look like a strong contender. The casino sites they work with currently probably aren’t the biggest names in the industry but they are starting to provide their games to more sites, some of which are well respected. As their importance in the world of online casinos grows we can expect them to see them become more and more respected in this business. You can either play the games provided by this software developer in an instant play format or else download the software, which gives their offering a useful degree of flexibility. The games are smooth running and good to look at, as well as being fast to load. Of course, the number of games on each gaming platform is a vitally important issue these days, with some software developers offering a huge range of titles for their players. With around 100 games on offer, the CGTV solution is neither the biggest nor the smallest around. The latest games released by the firm – as listed on their official site – are Casino War, Lucky Shot, Red Dog, Penguin’s Playground and Sidecar Rally. This is an interesting mixture of different types of casino game which shows the versatility of the firm. 15 different languages are supported by the CGTV Games platform, as well as a range of currencies from around the world. On the firm’s site they state their approach allows new players to come from over 200 countries. The safety and fairness offered is one of the most important aspects for any casino games developer. In the case of CGTV Games, their software has been tested by TST, which will give players a good level of confidence in the playing environment they offer. The fact that their games are on some online casinos which aren’t so well known might give you pause for thought. However, if you look at it in a positive way you could view as this a chance to play new games on sites you have never come across before.